There's no place like home, and there's no stepping stone quite like this one! 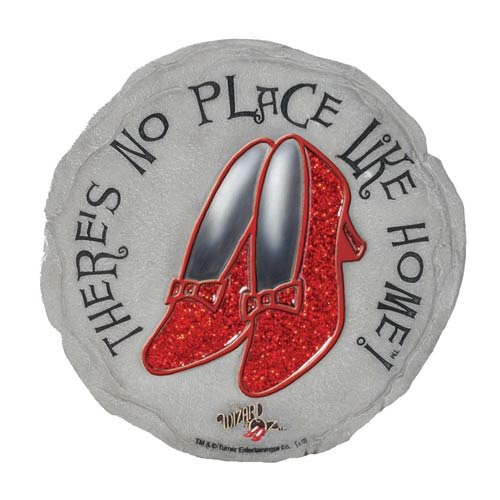 The Wizard of Oz No Place Like Home Stepping Stone shows those all-important ruby slippers and the phrase "There's No Place Like Home!" Measures 9 1/2-inches long x 9 1/2 wide x 1/2-inch thick, and weighs 2 3/4-pounds.